Arturo Schomburg is one of my heroes. He is widely known as “Arthur” Schomburg, the “Black Bibliophile” who amassed a large personal collection of African and African diaspora materials to counter the supposed claim that African-descent peoples had no history. Whether this story is true or apocryphal, Schomburg dedicated his life to making a positive difference by collecting, preserving, and promoting African diaspora books, research materials, and cultural objects. Schomburg was Puerto Rican, and like many Puerto Ricans, he was of mixed descent. His African-descent mother was from St Croix, and his father was German-Puerto Rican. 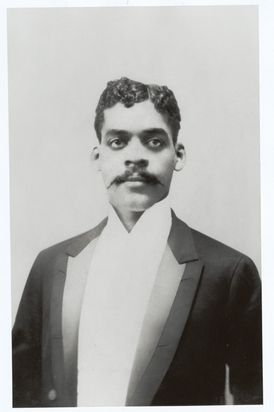 As a young man, Schomburg came in 1891 to New York where he spent the rest of his life writing, collecting, working various jobs, and dedicating himself to many Black and Latin American causes. Schomburg was part of the earliest wave of Puerto Ricans emigrating from the island to New York, and thus is an important figure in Puerto Rican diaspora studies. He also was an important figure in the Harlem Renaissance. Near the end of his life, Schomburg became a Black Studies curator for the New York Public Library system in the 1930s, perhaps achieving his ultimate dream. His huge collections were eventually acquired by the New York Public Library system, and formed the foundation of NYPL’s amazing Schomburg Center for Research in Black Culture, the world-renowned research center named in his honor. ISU subscribes to the versatile Black Studies Center, an online database that includes authoritative essays commissioned by the Schomburg Center on selected African and African American research topics. These highly readable essays function as encyclopedia entries, helping students get the big picture on important topics. The Black Studies Center also includes the indispensable International Index to Black Periodicals, your best choice for finding journal and magazine articles on African and African American topics. Simply choose Find Journals from within BSC to use the index. BSC also includes full-text facsimile articles from the important newspapers Chicago Defender and the Daily Defender, and the Black Literature Index, which helps locate original poetry and short stories published in early African American publications. Do let me know if you need any help or have questions when using the Black Studies Center for your classes or research! If you’d like to know more about Arturo Schomburg, the Schomburg Center has some brief details and Wikipedia has a decent enough entry for starters.